But given the state of the economy, how is Dublin faring today? Is Temple Bar still a hotbed of hormones, and what, in their soberer moments, is there for tourists to do elsewhere around the city? 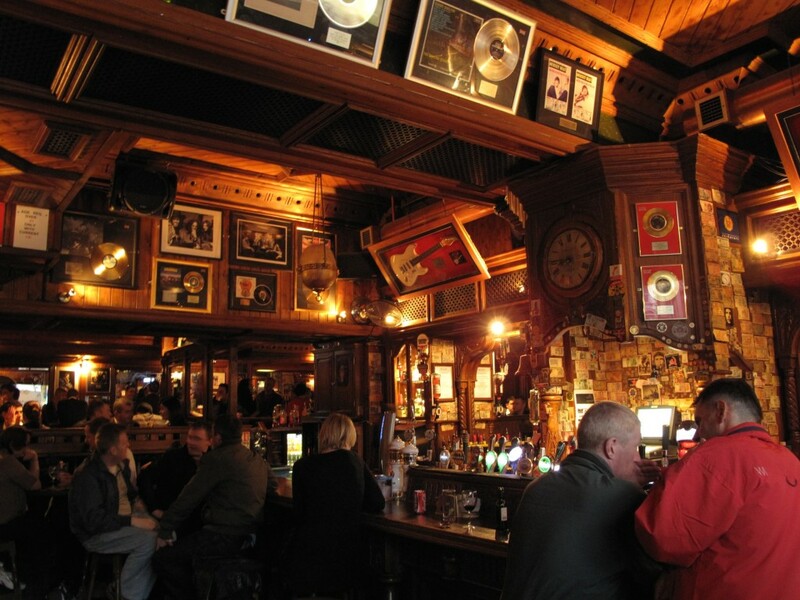 Clearly, in a city where half the population is under 35, Temple Bar continues to satiate an unquenchable thirst, with pubs on practically every corner. But stag nights and hen do’s, while not quite as rare as a leprechaun sighting, have largely moved on. 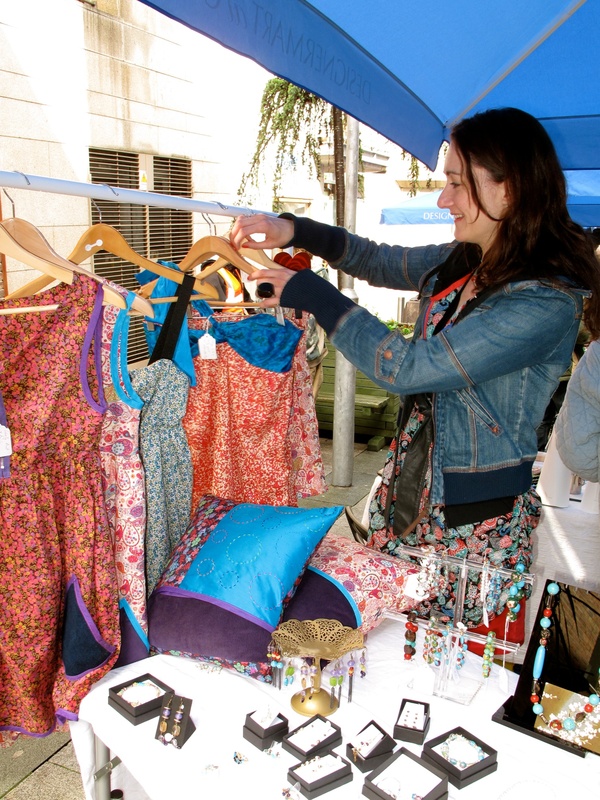 These days, the Temple Bar Cultural Trust is focusing on attracting families and a more mature crowd with festivals, street theatre, cultural nights and weekend markets, where you’ll find everything from unpasteurized Irish cheese to hand-made jewelry. 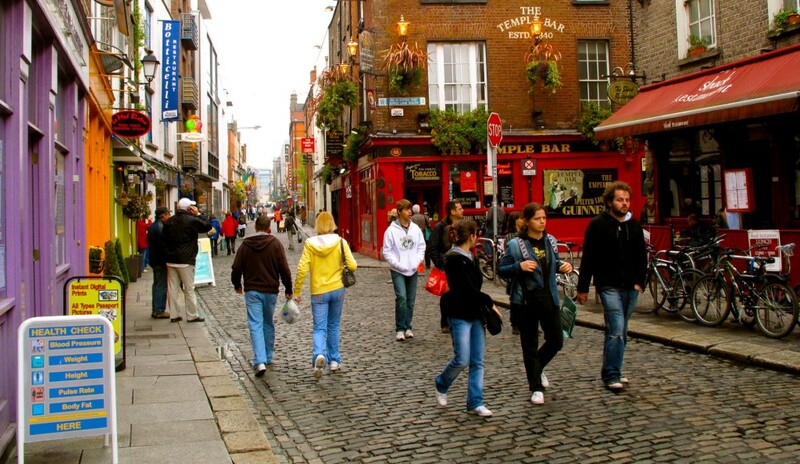 The best-known shopping area in Dublin is Grafton Street, flanked by typical big name retailers. 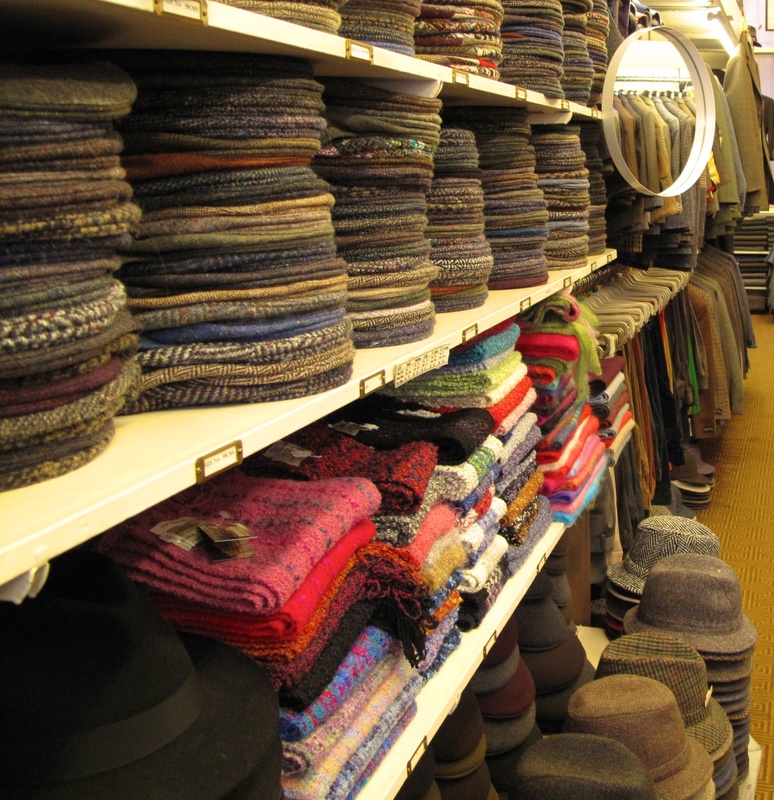 Stray east up Nassau Street, though, and you’ll find hand-woven Irish tweed at Kevin & Howlin, or head west along Suffolk Street and pop into Avoca, an Irish company with mills in Wicklow. With its pastel-colored chandeliers, Astroturf-draped tables laden with giftware and colorful housewares, Avoca has a Martha-Stewart-on-acid aesthetic. 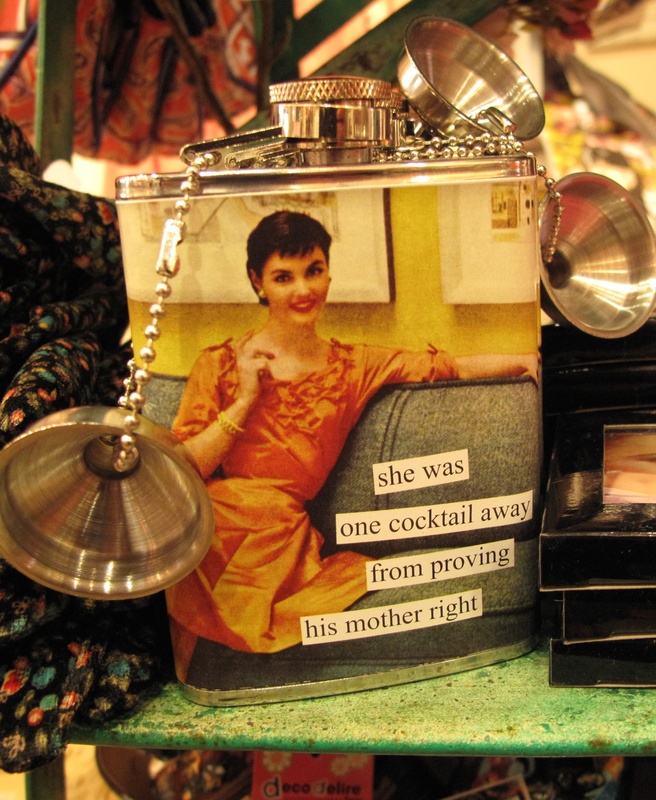 Not that you’ll ever find yourself far from liquid refreshment in Dublin. 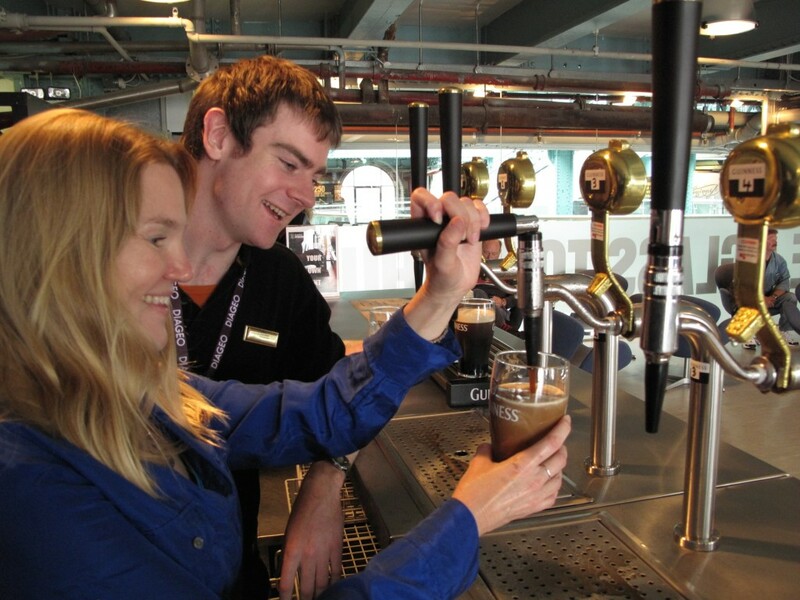 In addition to famous pubs like The Foggy Dew and O’Donoghue’s, where the band The Dubliners got their start, you can also make a pilgrimage to the Guinness Storehouse. 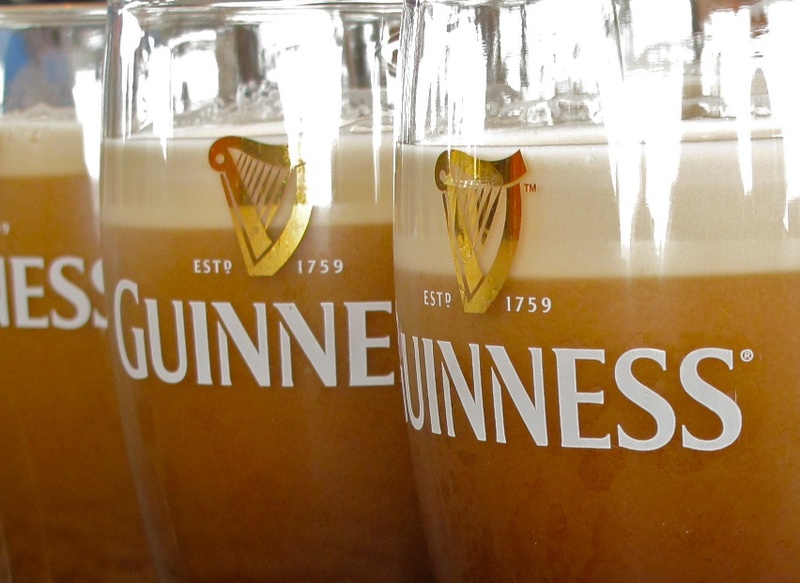 As Ireland’s top international tourist attraction, the Guinness Storehouse encompasses 54 acres of sprawling brick buildings and stainless steel vats. I sample Dublin’s famous brew in a laboratory-style room at the Storehouse, where a video explains how to properly taste a pint of Guinness using a complicated “retro-nasal breathing” process that I resolve to practice until I get it right. Next, I learn to pour the perfect pint, tilting the glass at a 45-degree angle, waiting for it to settle, and topping it off with a rather wobbly-looking three-leaf clover. Then it’s onwards and upwards to the seventh floor Gravity Bar, where I pause to savor panoramic views of the city as my spirits lift alongside the clouds. But Dublin isn’t all good times and Guinness. 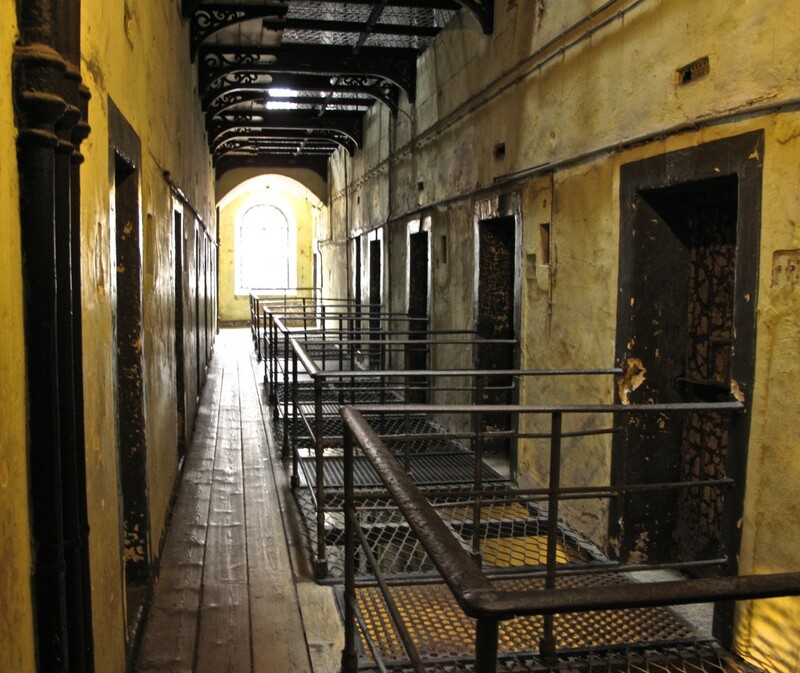 Not far from the Storehouse lies Kilmainham Gaol, a forbidding limestone prison that housed as many as 9,000 people at a time between 1796 and 1924. Artifacts from the jail and its inmates—rusty shackles, a wedding ring, the shirt and collar worn by a prisoner at his execution—fill glass display cases. In the dark, dank corridors of the old West Wing, crumbling plaster etched with graffiti frames wooden cell doors still secured with Squire Old English locks. 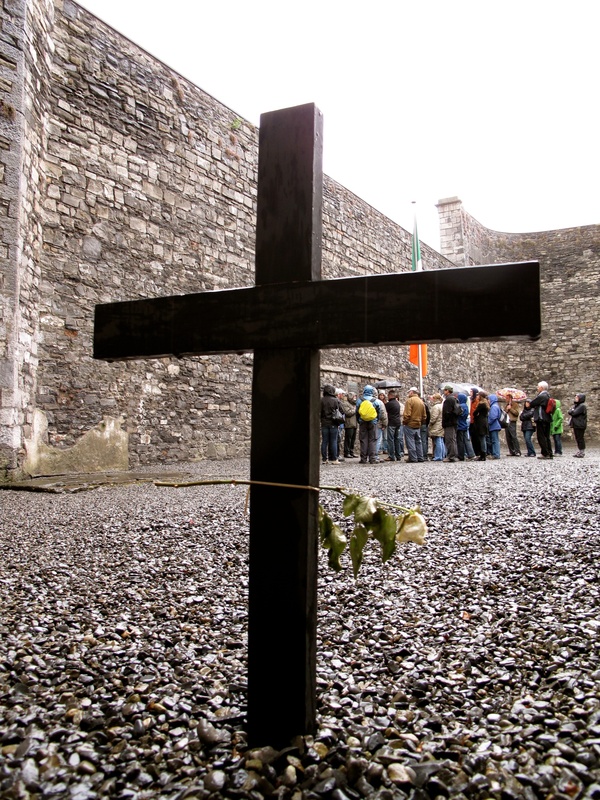 Perhaps the most moving bit of the tour is the stonebreaker’s yard, where 14 leaders of the 1916 Easter Rising–a failed and bloody bid for an Irish Republic–were executed by firing squad. 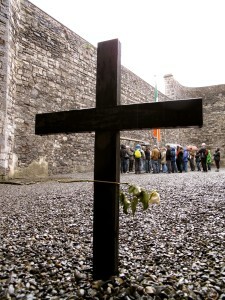 Two humble wooden crosses adorned with wilted roses serve as a poignant reminder of their deaths. “It’s an interesting contrast between the wealth of Trinity College and the great Georgian houses,” observes Heather Leson, visiting from Toronto, Canada with friends. As for myself, wandering through this labyrinth of pain and oppression has inspired me to lead a blameless life–but not until the weekend is over. I’ve still got my retro-nasal breathing process to perfect. More information: www.visitdublin.com, www.ireland.com, www.templebar.ie. O’Donoghue’s, 15 Merrion Row, Dublin 2, www.odonoghues.ie. The Foggy Dew, 1 Fownes Street, Temple Bar, Dublin 2, www.thefoggydew.ie. Ely CHQ, Custom House Quay in the International Financial Services Centre (IFSC, facing George’s Dock), Dublin 1, www.elywinebar.ie. (See web site for other locations). With extensive outdoor seating, a glass-enclosed ground floor, and a candlelit cellar, this organic restaurant—housed in an historic 19th century dockside storehouse–caters to every mood. Queen of Tarts, Cow’s Lane/Dame Street, Dublin 2, and Cork Hill/Dame Street, Dublin 2, www.queenoftarts.ie. Generous portions of dishes like tarts, casseroles and frittatas, plus fresh-baked desserts and pastries. 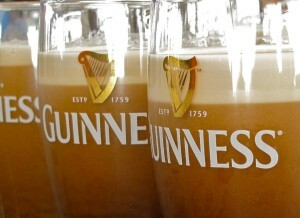 Guinness Storehouse, St James’s Gate, Dublin 8, www.guinness-storehouse.com. Kilmainham Gaol, Inchicore Road, Kilmainham, Dublin 8, www.heritageireland.ie/en/Dublin/KilmainhamGaol. Avoca, 11-13 Suffolk Street, Dublin 2, 01-677-4215, www.avoca.ie. Clothing, house wares, gifts, plus a café and food hall. Dublin 2, www.kevinandhowlin.com. Hand-woven Irish tweed. The Clarence, 6-8 Wellington Quay, Dublin 2, www.theclarence.ie. With owners like Bono and The Edge of U2, who filmed a video atop one of the terraces, you can’t beat The Clarence’s rock n’ roll pedigree. The Merrion Hotel, 21-24 Upper Merrion Street, Dublin 2, www.merrionhotel.com. One of the Leading Hotels of the World, this five-star establishment joins four Georgian townhouses and a contemporary Garden Wing just steps from Merrion Square. Trinity Lodge, 12 South Frederick Street, Dublin 2, www.trinitylodge.com. This 4-diamond Georgian guesthouse features all en-suite accommodations and a convenient location near Trinity College.